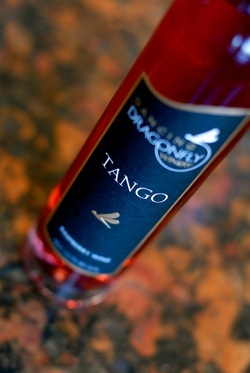 A light, refreshing dry wine, with pleasant acidity, in a fruit forward style. Herbaceous nose (green leaves), with clementine and tangerine notes. Starts out with clear citrus flavors, but ends dry. It fakes you out; it seems sweet, but is actually quite dry. The foremost grape in this wine is Gewurtztraminer. Cheese pairing suggestions: Five year old Cheddar from Burnett Dairy – a terrific savory, salty, buttery combination. We also love Eichten’s Peppercorn Garlic Cheese. 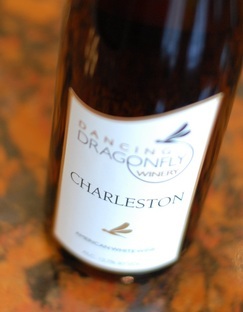 Charleston’s nose is reminiscent of grapefruit, with hints of melon and subtle floral notes (we get orange blossom). 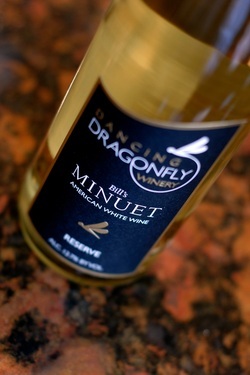 This light, refreshing white wine, made 100% from Prairie Star grapes, has a bright, crisp body. Its cripsness reminds us of a Sancerre or Sauvignon Blanc. We believe its balanced acidity makes it pair quite well with a number of cheeses; our choices are Somerset by Wisconsin Sheep Milk Coop, or Creamy Gorgonzola by Bel Gioioso. A delightful semi-sweet wine, made mostly from Frontenac Gris grapes. The nose is light, like fresh air after a spring rainshower. Most prominently, the nose is peach with flower blossom notes. We’ve also noticed pineapple and pink lemonade. The taste is superb, with the flavors cascading over the tongue. 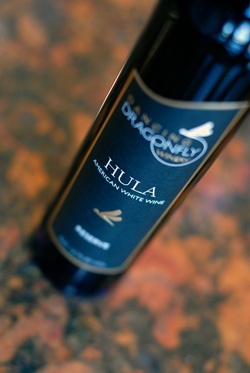 A long, balanced finish, and the favorite white of many of our staff. Cheese pairing suggestion: Wood River, Alpha’s Morning Sun Cheese. Also: Bolzano Old School Salami. 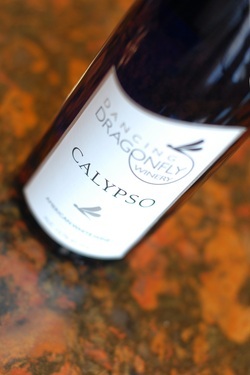 Surprisingly delicious, this semi-sweet wine has a nose with tropical notes—notably pineapple, mango, and passionfruit. 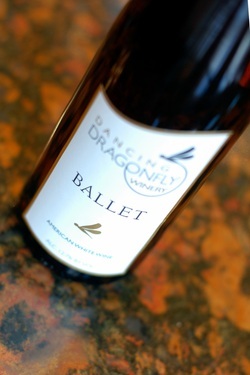 It is made entirely from local Brianna (cold climate) grapes, and has a crisp finish. There’s also a little mandarin orange on the tongue. Suggested pairings include Dante Lamb Sheep Milk Cheese and smoked salmon. A sweet wine with a burst of fruit in the nose. It is made entirely from cold-climate grapes—mostly Frontenac Gris. We smell mostly pear with a little peach. When tasted, we get notes of nectarine and lemon/lime. It has a bold, clean, refreshing finish. Suggested cheese pairing: Burnett Dairy Stone-Aged Cheddar (seven year). 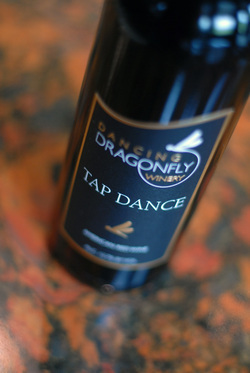 Tap Dance is one of our more sophisticated wines. It has a nose of tobacco, leather, and oak. Tap Dance has a lot of depth and reveals one flavor after another. The wine flavors hold true to the nose; we taste cherry, blackberry, red currant, and oak. We suggest pairing with Provolone cheese from Burnett Dairy, and “Fin Oh Kee Oh Na” Salami from Bolzano Artisan Meats. 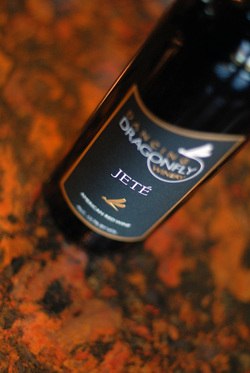 Jeté is a bow to California style wine, but with a cold climate twist. It’s primarily a dry cabernet sauvignon, but with cold climate blending grapes, to add delightful fruit. We get tobacco, leather, and cocoa in the nose, a light earthy flavor and blackberry on the tongue. Noticeable but not overly big tannins, and a deep red color. This is a medium body cab, refreshing on a summer evening; very approachable. Suggested meat and cheese pairing: Van Meter’s Lucky Seven Jerky Sticks, Eichten’s Tomato Basil, and St. Pete’s Select from AmaBlu. This is an off-dry/semi-sweet red wine, with an elegant fruity nose. It’s made mostly from Marquette grapes. The nose is mostly berry, with a spice finish. The taste seems complex; we taste persimmon, pomegranate (not to get snooty about it), red licorice, and leather. We taste blackberry on the front of the tongue, a spicy tingle at the back, and vanilla. One of our tasters said it “makes you want to dance.” Garnet color. cha cha - coming soon! 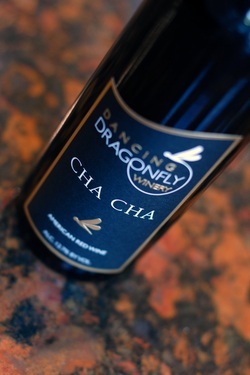 Cha Cha is a red wine, on the sweeter end of the scale, made primarily from the Marquette grape. The nose reminds us of blueberries and blackberries, in sharp contrast to the smooth taste. We taste dark, sweet cherry, and elements of apple pie spices (allspice). Long, inviting, spicy finish; Dark plum color. Meat and Cheese pairing: Tulum (WSBC) Sheepmilk cheese. Or, if you prefer spicy things, try Van Meter’s Turkey Jerky Spicy or BBQ Sticks. Cha Cha also goes really well with Indulgence Cacao Nib 70% fine chocolate. This is a dry white Chardonnay blend. It starts with west-coast Chardonnay grapes, then thumbs its nose at them, by including cold climate grapes, and an understated use of French oak. The nose has pear, vanilla, apple and citrus. It is mellow and smooth. We get a buttery flavor of vanilla, possibly mocha, with notes of oak. Hints of leather. Color of dandelions. Meat and Cheese suggestions: Riserva Handcrafted Asiago cheese, Eichten’s Herb Gouda cheese, or Van Meters Beef Strips, BBQ Sticks, or Turkey Jerky Spicy Sticks. This is our best red wine. Our owner wasn’t sure we would have a red reserve this year, but when he tasted this, he knew. A dry red, made mostly with Marquette grapes, we get black cherry on the nose, with vanilla, oak, leather, tobacco, and particularly peppercorn/spiciness at the end, on the back of the tongue. This is a bright, not overly heavy red. We suggest Dante Sheepmilk cheese, or Eichten’s Herb Gouda cheese for a savory pairing, or a Ghirardelli milk & caramel chocolate square. This late harvest wine (made in an ice-wine style) is an expression of our winemaker’s decades of work with cold climate wines. 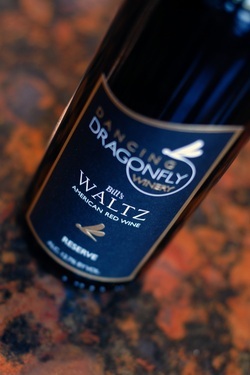 The nose reminds us of honey, maple, ripe white plum, and melon. 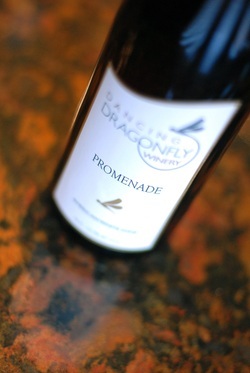 Concentrated flavors of caramel and (not kidding) guava come from the Frontenac Gris grape. This imposing wine stands up quite well to strongly flavored cheese and desserts. Special recommendation: Maytag or St. Agur Blue Cheese, Molinari Sopressata, or both! 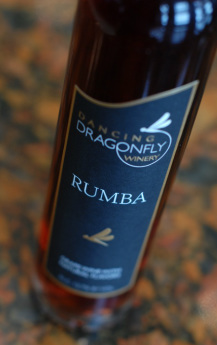 Your nose is going to love the warm aromatics of Rumba. There is a big chocolate cherry bouquet going on, with minor notes of cinnamon and vanilla. Rumba has a pale red, tawny color. 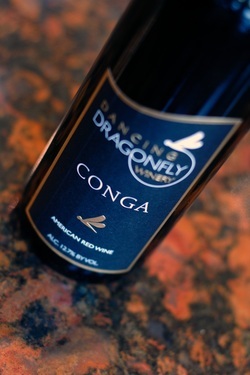 It has a light, easy body which tastes of chocolate and cherry with just a hint of orange. It is not creamy or syrupy, as you might suspect when hearing about the tastes. Nonetheless, it still reminded us of a creamsicle. Our winemaker’s tribute to pure fruit wine. Unashamed of its origins, it bursts with the taste of fresh raspberries, in a well-balanced wine with just enough sweetness, and a clean finish. We suggest pairing with whatever chocolate turns you on. We like to have a glass with aged swiss, or a Hershey’s kiss (or two). Goes really well with cured meats.